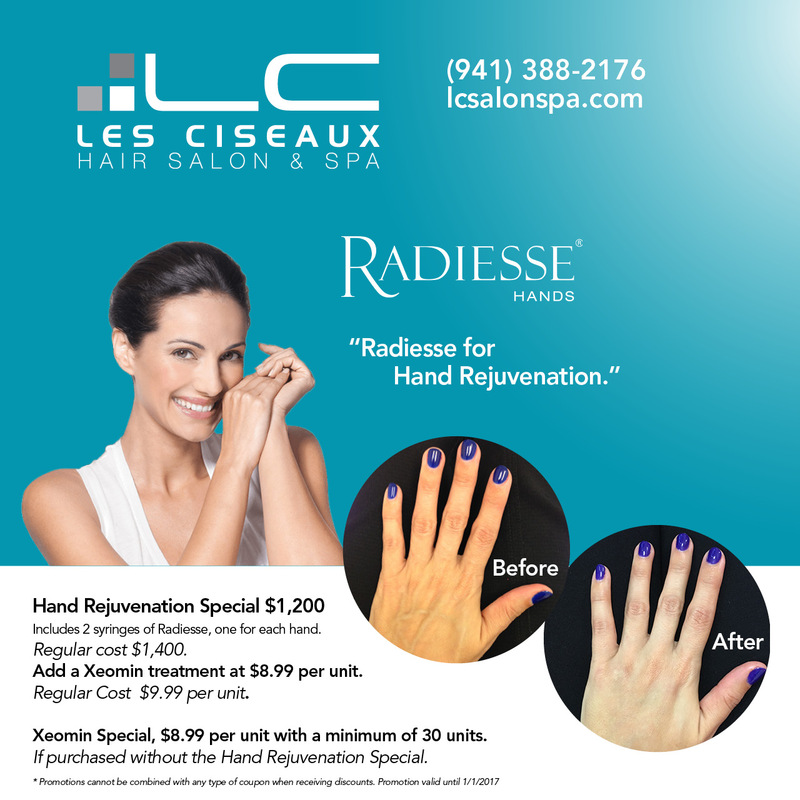 Les Ciseaux is offering a special Radiesse Hand Rejuvenation Special to have you looking beautiful as the holidays approach! Includes 2 syringes of Radiesse, one for each hand. Add a Xeomin treatment at $8.99 per unit. Regular Cost $9.99 per unit. Xeomin Special, $8.00 per unit with a minimum of 30 units. If purchased without the Hand Rejuvenaton Special. Contact us today to schedule your treatment!